This lovely art was drawn by Jin Kim, a character designer for Walt Disney Animation Studios. It uses the Japan-inspired setting of Disney’s Big Hero Six to pay homage to Japan’s greatest animation studio, the amazing Studio Ghibli. For comparison, here’s the image from My Neighbor Totoro on which Kim’s picture is based. I really enjoyed Big Hero Six, the first animated Disney movie based on Marvel comic book characters. In fact, it’s one of my favorite films of the past five years. Its story hit all the right notes for me, and its visuals are jaw-dropping. Despite being much more Disney than it is Marvel, Big Hero Six avoids most of Disney’s clichés. There are no princesses; there is no romance; the villain is not pointlessly evil. Big Hero Six is a film about brotherly love, coping with loss, and the futility of revenge. It’s pretty deep stuff… for Disney, anyway. Anyway, if you haven’t seen Big Hero Six, you should go watch it. 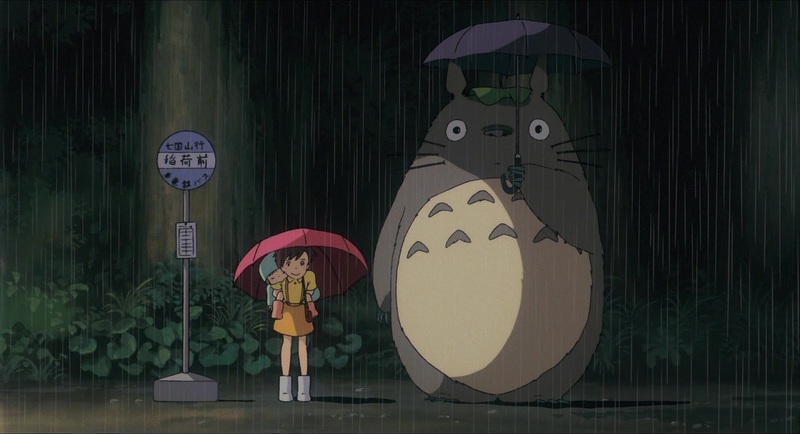 And then, regardless of whether you’ve already seen it, you should watch My Neighbor Totoro. You’ll thank me later. This entry was posted in Geeky Wednesdays and tagged Disney, Studio Ghibli, superheroes by Adam Stück. Bookmark the permalink. 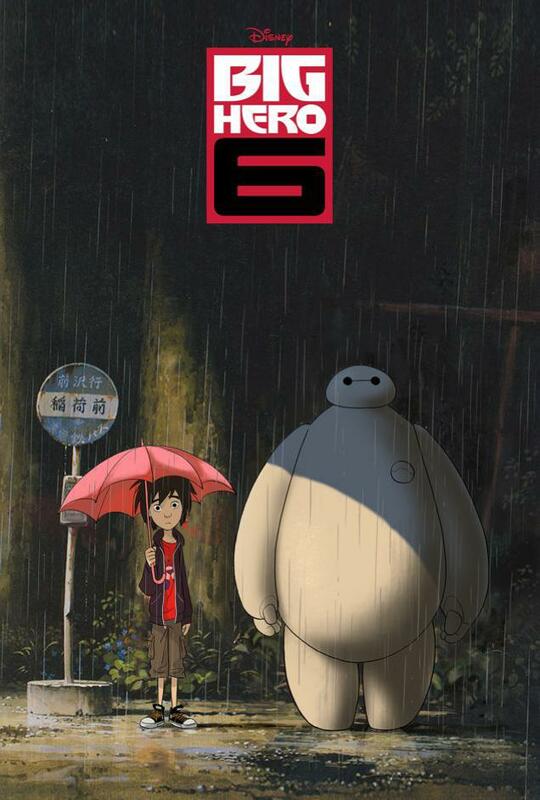 I was going to get all up in ‘yo face about how cliche and decidedly average Big Hero 6 was to me, but I must admit (shamefully) I have not seen My Neighbor Totoro. My animator’s license should be revoked and my opinion of films stricken from the record. As tempted as I am to get all up in yo’ face about the things I admired in Big Hero 6, I’ll spare you my opinions… for now. 🙂 My Neighbor Totoro is a classic. As Studio Ghibli’s most iconic film, it’s awfully overhyped, yet remains a touching and beautiful family film. It’s definitely worth watching. Jin Kim’s art is fantastic. Heaven knows I’m no expert, but the dynamic range of his character’s expressions is delightful.